Jonathan D. Light is a truck accident attorney in Boston. 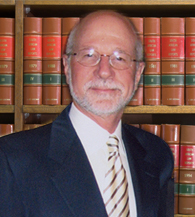 Over the past 35 years he has reliably handled large truck collisions and the resulting injuries and damages. If negligence led to your injury, or injury of your loved one, do not make the mistake of handling it alone. With the help of Boston truck accident lawyer Jonathan Light, you can achieve coverage for medical bills, lost wages, property damage, physical injuries and even compensation for emotional or psychological injuries. Rollovers. Inattentive or negligent drivers can cause rollovers if they make turns too sharply or swerve too suddenly. Trucks are particularly prone to rollovers in these types of situations due to their high centers of gravity. Brake failure. If proper, regular maintenance is not performed on the truck, or if cargo is improperly balanced or secured, the brakes could malfunction and cause the driver to lose control. Weather can also be a factor in brake performance. Underride accidents. A negligent driver could fail to notice a car or smaller vehicle alongside the truck, attempt to change lanes, and cause the car to become trapped underneath. Too wide turns. Large trucks are difficult to maneuver, and even something as simple as a turn requires complete concentration and awareness of surroundings. When you are injured in a truck collision caused by negligence, only a qualified truck accident attorney in Boston like Jonathan Light can offer you the support you deserve—fighting for full compensation, dealing with police and other officials, and communicating with insurance companies on your behalf. If you have sustained injury in a trucking accident as a result of negligence, or would like more information from one of the top local trucking accident attorneys, the Boston Law Firm of Jonathan D. Light, P.C. is here for you. Email a Boston truck accident attorney or call 617-245-0220 today to schedule your free initial consultation.